You might not spend a whole lot of time contemplating the very purpose of your smile. Instead, you go about your day, using it as necessary, and appreciating it when you happen to take a very good photo. 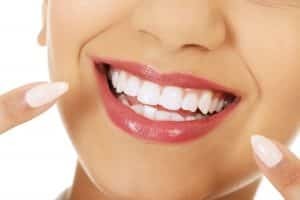 While we don’t encourage you to obsess over its deeper meaning, of course, we do suggest that you keep a couple things in mind in order to protect your smile health: Remember that there are some things your smile is cut out to do … and things it is not. We are happy to offer a simple overview. Your smile is primarily for chewing, communicating verbally, and showing your emotion. These are things for which you can rely on your smile on a daily basis without worrying that you’re going to negatively affect your smile health in the meantime. You can eat meals and eat snacks, you can talk and laugh and sing, and you can smile. Pretty great stuff! Your smile is a tool that helps you break down foods but it is no other type of tool. Here’s what we mean: It’s not meant for carrying bags. It’s not meant for cutting open packages. It’s not meant for zipping something up when your hands are full. You see where we’re headed! Don’t ask too much of your teeth. Unfortunately, when you do, it can lead to smile health problems like broken or dislodged teeth, bruxism, and TMJ disorder. 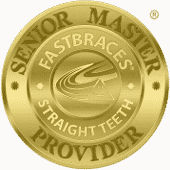 Feeling a little worried because you haven’t been protecting your smile as we suggest and you think you may need some restorative care? No problem! We are more than happy to help and get you back on track. Just give us a call to set up a visit. Whether you’ve been missing the guidelines and need restorative care or if it’s simply time for your next checkup, remember to schedule a visit with us. Get the information and treatment you need in Celina, TX by contacting Celina Family Dentistry to schedule a visit today at (214) 851-0130.